CBSE has uploaded the sample question papers and marking scheme for Classes 10 and 12annual examinations on the official website of the Board. CBSE has uploaded the sample question papers and marking scheme for Classes 10 and 12 annual examinations on the official website of the Board. 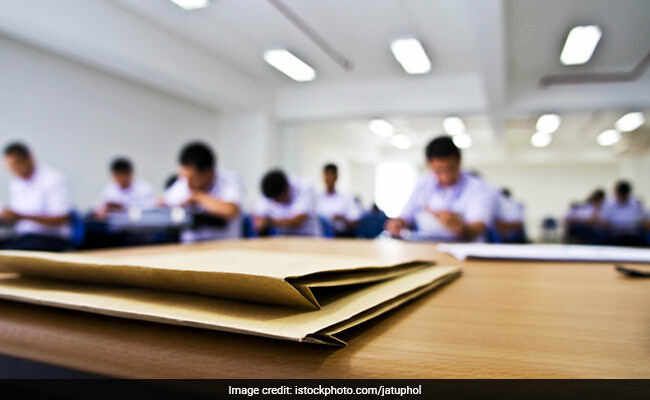 According to a statement from CBSE, there is an increase in internal choice in the question papers in some subjects both for classes 10 and 12. This change has been decided as per the feedback received from various stakeholders, members of Committee of Courses and the subject experts, said the Central Board of Secondary Education (CBSE) statement. The sample question papers and marking scheme details of each subject can be accessed from the website. CBSE, a national level Board conducting examinations for Classes 10 and 12, has recently released a revised Affiliation Bye Laws. CBSE affiliates schools across India and abroad upon fulfilment of various conditions as prescribed in its Affiliation Bye Laws. At present 20783 schools are affiliated with the Board. The Affiliation Byelaws in position were first made in the year 1988 and were last modified in the year 2012. The Board has not released the CBSE time table for the annual exams scheduled to be held in February and March next year. However, the Board has in the first week of October released the list of probable subjects which are scheduled to be held on February and March 2019. All candidates who had appeared in the CBSE Class 10 exam last year were exempted from separate pass criteria in internal assessment and Board examinations. CBSE has now decided to extend that practice in passing criteria for the Class 10 examination in 2019 onwards and according that, a candidate will have to secure overall 33% (both internal assessment and Board examination taken together) in the subjects to be eligible to pass that subject.